We’re delighted to announce the speakers and facilitators for our September 2017 workshop. Despite being a small, independent organisation, we’ve managed to interest some high profile speakers across diverse areas of nature sound research and practice to attend and share their experience. 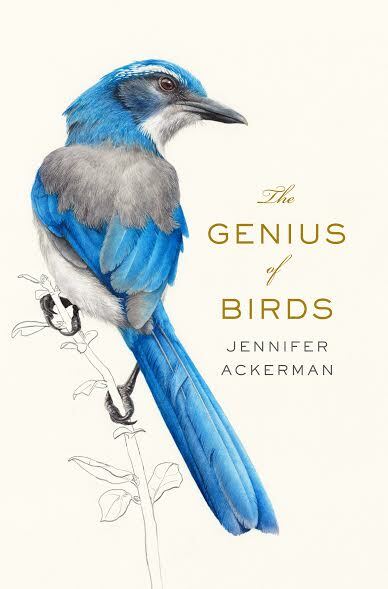 Our special guest will be American science author Jennifer Ackerman, who’s fascinating book ‘The Genius of Birds’ has been widely read and praised. She will be presenting the latest research on avian intelligence and how it informs communication and repertoire. In addition to presentations from leading bioacoustic researchers across bird, frog, insect and bat studies, we have eco-acousticians talking about both field work and analysis. Citizen science projects will be discussed, and the arts featured with participatory and performance components. But the core of the week’s events will focus on developing practical recording skills, in field sessions run by experienced recordists. Once indoors, we’ll also be demonstrating how to clean up, publish and archive recordings. It’s looking to be an exciting week of both presentations and field workshops. We hope you can join us! Please note – if you’d like to offer a talk (and we’d love you to! ), we do have space available to include you in our program. Please get in touch with Andrew or Sue to discuss. David Paull – local ecologist, who will give us an overview of the Pilliga. Dr. Leah Barclay – Researcher, artist and educator at Griffith University. President of the Australian Forum for Acoustic Ecology, the vice-president of the World Forum of Acoustic Ecology. Director of Biosphere Soundscapes & River Listening Projects. Jennifer Ackerman – science writer and author of ‘The Genius of Birds’. Dr. Ros Bandt – internationally recognised composer and sound artist, with a particular interest in environmental music and listening. Julie Broken Brow – PhD student using Anabat for her research on bats. Jessie Cappadonna – Australian Citizen Science Association, and research project using acoustic monitoring for Eastern Bristlebirds. Alex Drew – CSIRO, Australian National Wildlife Collection – Wildlife Sound Archive. Lucy Farrow – Research project on acoustic signalling of Noisy Miners. Dr. Michael Mahoney – synchronous calling of frogs and what it may mean. Dr. Sue Gould – Vocalisations of the Huon Bowerbird. David Smith – Charles Sturt University, project using remote acoustic sensors. Michael Towsey – Sonographic representation of long-temporal eco-acoustic data. Andrew Skeoch – Using Izotope software to process and repair field recordings.